60 years of growth and profitability . family owned-long term focus . over 60 premier properties . We are a family-owned business focused on the acquisition, through construction or purchase, of multi-tenant R&D/industrial flex, multi-family and retail properties for long-term ownership. Today we own and manage over 70 premier properties in California representing more than 6 million square feet. 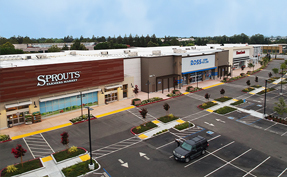 Our tenants include some of the best known names in business such as Toyota, Air Liquide, Honeywell, Clear Channel, Samsung and Alcatel; as well as some of the best known names in retail, such as; Sprouts Farmers Market, Hobby Lobby, Ross, TJX, ULTA, City Sports, Bed Bath & Beyond, Best Buy, REI, Trader Joes, Bank of America, Chase, Wells Fargo, Habit Burger, Starbucks and Peets, just to name a few. 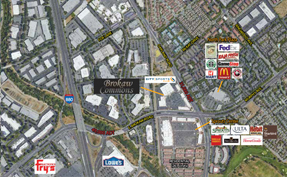 "Dollinger Properties is the largest landlord of multi-tenant space in the Silicon Valley"